Jesus is King (Luke 19:28-44). This is Jesus’ triumphal entry where Jesus is worshipped for the King that He is. Jesus rides through the streets while the people shouted, “Blessed is the King who comes in the name of the Lord! Peace in heaven and glory in the highest!” (vs. 38-39). We also see Jesus called “Hosanna” in other Gospels. Here, we see Jesus praised as King as He should be. Jesus served (John 13:1-17). Jesus knew what was ahead of Him. Jesus knew that He would be arrested, beat, mocked, and that He would ultimately died. However, instead of taking a selfish approach to His impending suffering, Jesus remained selfless. Jesus continued to serve. In these verses, we find Jesus washing His disciples’ feet, which He did to serve His disciples. Jesus always had serving others and sharing the Gospel on His mind, no matter the circumstances in His own life. What a beautiful example for us! Jesus prayed (John 17). Here, we find Jesus in the Garden of Gethsemane intensely praying to the Father. In fact, Jesus prayed so intensely that some verses tell us that He was sweating blood as He prayed. We will talk more about Jesus’ prayer in another post, but ultimately, we see Jesus glorifying the Father throughout His entire prayer. We do see Jesus asking for the cup (dying on the cross) to be taken from Him, but only if it is the Father’s will. Jesus’ entire prayer is all about the Father’s will and glorifying the Father. Also, we can see Jesus praying for ALL believers here (vs. 20-26). Let that encourage and humble you, friends. When Jesus was moments away from being arrested, He had you on His mind. Jesus was arrested (Mark 14:43-52). One of the things that hits me every time I read about Jesus’ arrest was that He did not resist His arrest. In fact, in verse 48, Jesus asks his arrestors why they even brought swords and such to capture Him. Jesus willingly went with those who came to capture Him. Jesus did not fight, did not try to run away, and did nothing to stop His arrest. Jesus knew that His arrest must happen to fulfill prophecies, and ultimately, for His death to occur. Because of His great love for us, Jesus did not resist His arrest. Jesus was on trial (Matthew 26:57-67, 27:11-26). During Jesus’ trials, He was questioned, beaten, and mocked. He did all of this for us. That is such great love that He would endure such suffering and cruelty for us. Also, as Jesus was being treated so badly, He never responded in any way that wasn’t loving. Jesus constantly responded with the Truth in love. Is this how we treat those who treat us badly? Let Jesus’ great example of love for us teach us that we should always treat others, even our enemies, with love. Jesus was crucified, and He died (Mark 15:21-40). Being crucified was one of the most humiliating forms of death in Jesus’ day; this was how they put to death the worst of criminals. While Jesus was on the cross, He endured much pain and suffering, and He also endured more mocking. Even worse, Jesus endured the Father turning His back on Him as Jesus took on the sins of the world. Friend, Jesus did this for YOU. There is a payment that must be paid for our sin, and Jesus died so that we would not have to. He paid the price for our sin; we must accept His gift. 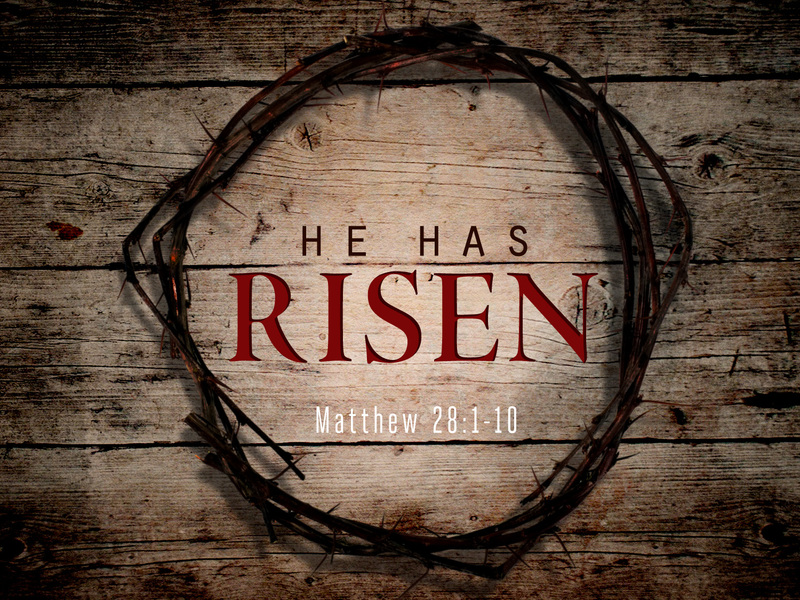 Jesus is alive (Matthew 28:1-10)! This is the very best part of Holy Week. Yes, Jesus endured a painful death for us, but then, He conquered the grave for us! Jesus is alive!!! If Jesus hadn’t risen from the grave, then our faith would be pointless. The rest of the events during Holy Week would be worthless. By rising from the dead, Jesus conquered death so that those who accept His gift of salvation can have eternal life with Him. Friends, let’s celebrate the fact that Jesus is alive not only on Easter, but every day! is alive! We have hope! We have life! Next postWhose Kingdom Are Your Prayers Building?